Contact our helpful staff by phone, email, or in person and we'll be happy to help you plan your event! All Events now offers full-service event planning! Whether you're organized or overwhelmed, the staff at All Events has the knowledge and experience to help plan, design, and coordinate any event. Planning an event? Check our reviews. See what our past clients have to say about us! Chances are when you first started planning your wedding, the absolute last thing to cross your mind was "Where will I get the rentals?" It's OK. We know choosing your rental company isn't as glamorous as finding the perfect dress, or as fun as picking the right cake, or nearly as exciting as planning your honeymoon. But ask any professional event planner, or any of our thousands of satisfied brides, and they'll tell you that choosing the right event rental company can make all difference in the world. We invite you to use All-Events-Rental.com as your go-to event planning tool, and not just for weddings! Any party, graduation, or corporate event can benefit from our professional staff. With our easy to find product listing you can shop for just what you want, and get instant product pricing! And in our Portfolio you can see exciting and inspiring ideas to help you plan your next perfect event! What Goes Into An All Events Wedding? If you've been planning your wedding for any amount of time now, then you already know it's a lot of work. Making the tough decisions ("Do we really have to invite Aunt Esther? "), coordinating with dozens of vendors, and keeping yourself sane are just a few of the obstacles you'll have to overcome. But what do your wedding vendors do? 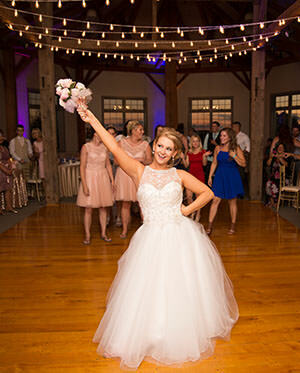 If you answered "Just show up and get paid" then keep reading to learn what the staff at All Events is doing to help make sure your wedding is a huge success! All Events now offers event photography, under the name OH Snap! Photography. (Cute, right?) As you've come to expect from All Events, our goal with OH Snap! is to provide the highest level of customer service while delivering an excellent product. Visit the OH Snap! Photography website to see portfolios and prices for all of our services.